There are some really great books in this list! Always Know What To Say – Easy Ways To Approach And Talk To Anyone ~ Murphy, Peter W.
The Complete Life’s Little Instruction Book ~H. 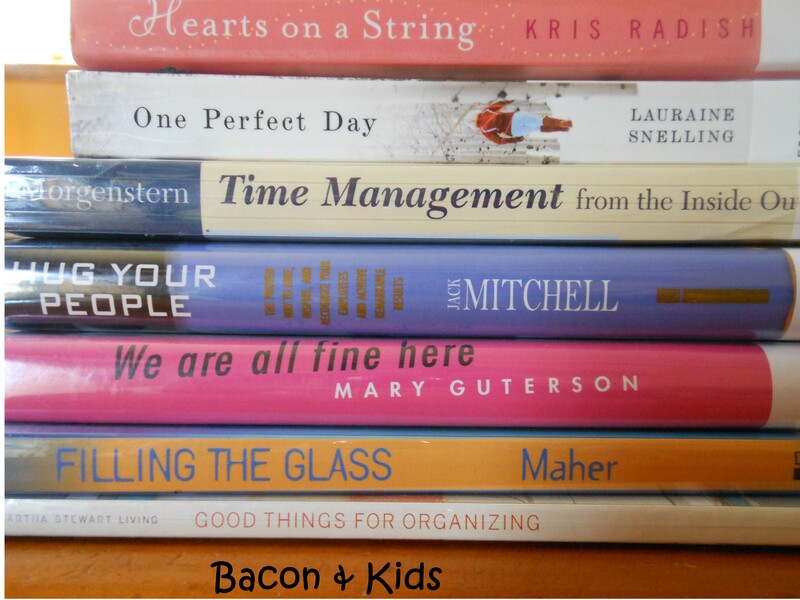 Jackson Brown Jr.
Will you be adding any of these books to your 2014 reading list? 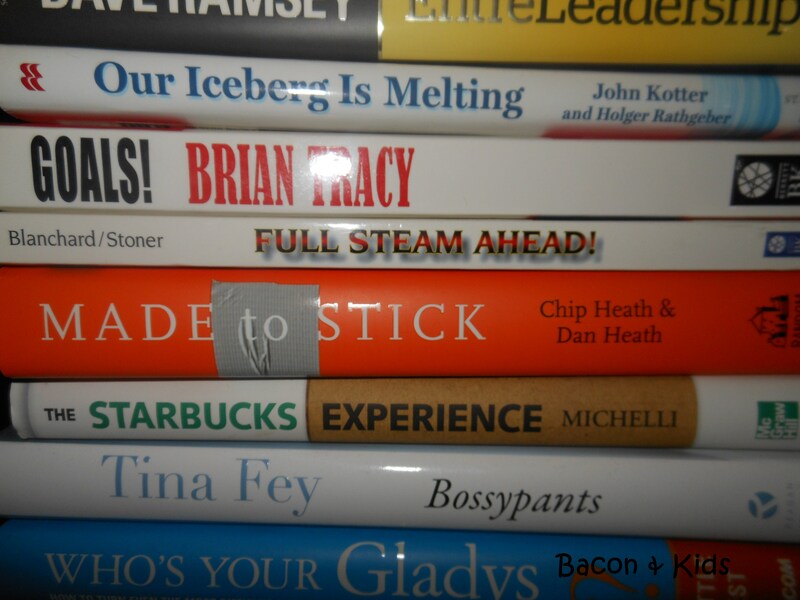 Please feel free to share your book suggestions for my 2014 reading list. I love adding new books to my bookshelves! 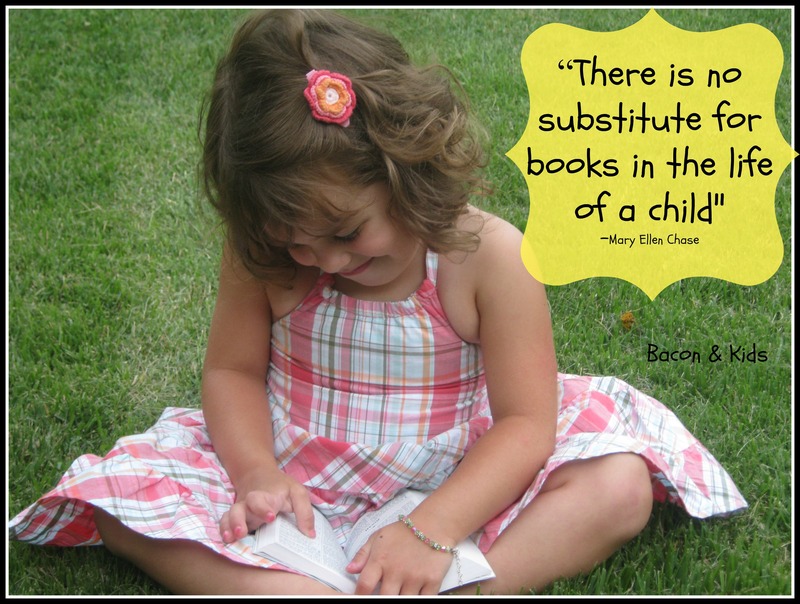 Keep Your Children Reading During Summer! Summer vacation is just a few days away! Just because the school year is ending, that doesn’t mean the learning has to stop. You can help prevent summer learning loss (“summer slide”) by encouraging your kids to keep reading during the summer months. Children who read during the summer break from school gain important skills. Studies have shown that children who read more become better readers and reading can become a more enjoyable experience. 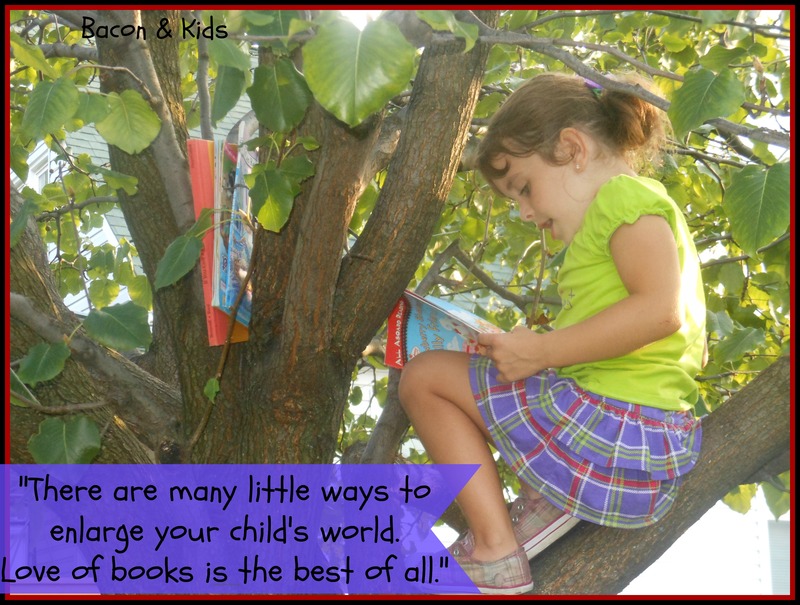 So how can you keep your child reading this summer? Make book available all around your home. Make good use of travel time – Keep a basket or tote full of books in your vehicle so your child can entertain themselves in the car instead of asking “are we there yet? every 2 minutes. For longer car trips, instead of watching a movie or everyone listening to their own music, listen to an audio book. Read out loud to your children – Start reading to your child at infancy and continue even after they are able to read on their own. Read Outdoors – Spend some time reading outside in the backyard, at the park or beach and on your front porch swing. So precious! I love this picture of my daughter “reading” the Bible. Lead by Example – Your children should see you reading. Talk to your children about the things you are reading and how the information is benefiting you. Family reading time especially before bedtime will help relax your children for a peaceful nights sleep. 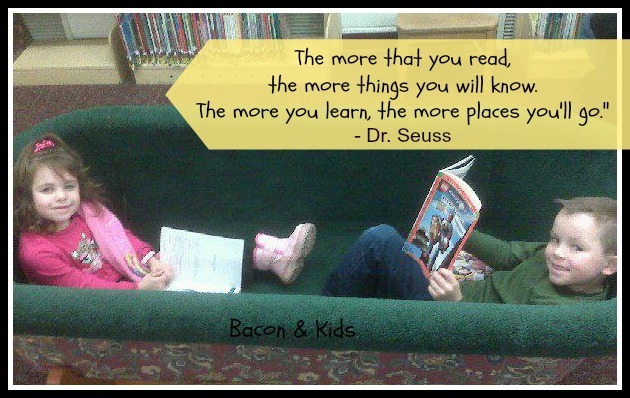 Take your Child to the Library Regularly! Visit Local New & Used Book Stores. Host a Book Club with your child’s friends. Crafting Time – Make some fun bookmarks together. Reading Logs – Print up a reading log where your child can document the books and minutes read. Reading Rewards! How about a trip to 7-11 for a Slurpee or a visit to one of Wyandotte’s wonderful ice cream shops for a sweet treat to celebrate each weeks reading success. Summer Reading Programs – Take part in summer reading programs. Check your local library and book stores for summer reading programs. Summer Reading runs from June-August. The program kick off is Saturday, June 15 from 10am – 12pm. Kids read throughout the Summer and are rewarded with small prizes and a ticket to their Annual Summer Reading Carnival! Last year our children took part in both programs and LOVED it! Remember Summer Reading Should Be a FUN Experience for the Whole Family. Check out my Pinterest Board “Books Worth Reading” http://pinterest.com/BettyJHayden/books-worth-reading-betty-s-book-shelf/ there you will find ideas for what to read, bookmarks, cute reading nooks, reading log printables, book caddy’s and more! Happy Summer Reading to you and your family! So here we are with 2013 just around the corner. 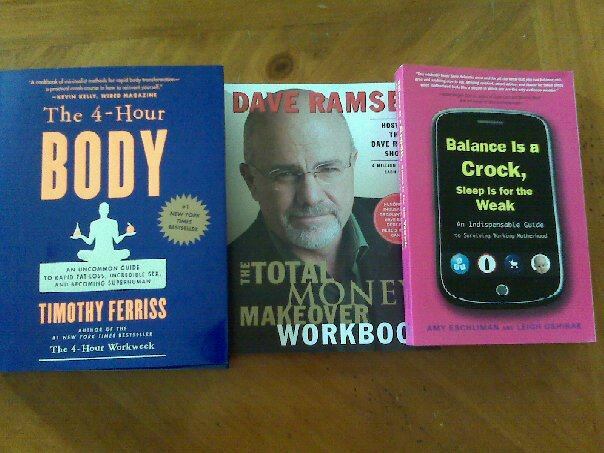 At the start of 2012 I set the personal goal of reading 25 books. Happy to say, I read 50 books in addition to my daily Bible Reading and Bible study aids. 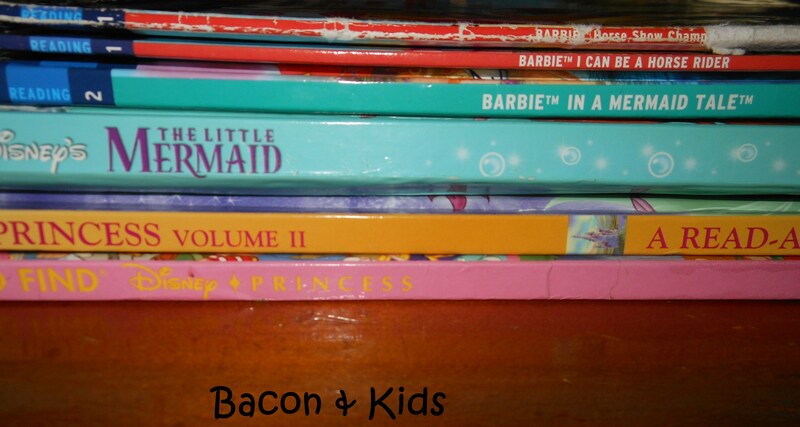 Oh, and let’s not forget all the books that I read to my children. 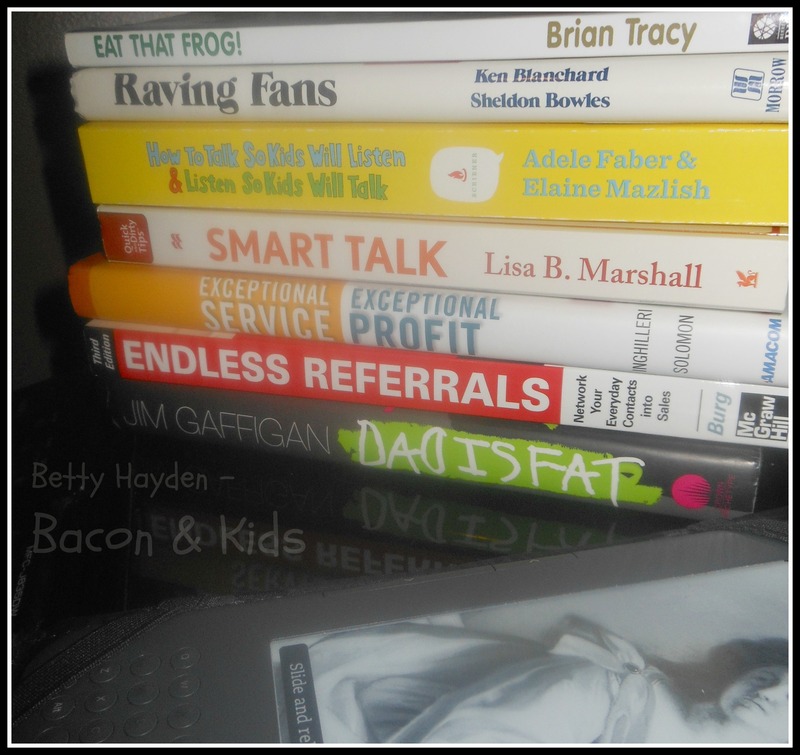 The following two books I read in September/October. Absolutely wonderful books! If you haven’t had the opportunity to read any of the books by Gretchen Rubin and Brene Brown I highly recommend you do. Do you have any good book suggestions for me in 2013? Please share them with me if you do! ~ Thank you! I have yet to set my reading goal… 50? 75? Oops, I just realized I never posted my reading lists for July & August. I did read during those months. And the books were awesome! I spent many hours outside enjoying the crazy beautiful summer weather while reading! I had set a goal at the beginning of the year to read 25 Books, happy to report that I already surpassed that goal! Happy Book Reading to you! What books will I read during June? Yikes! It’s June 6, and I didn’t order any new books for June. The kids and I decided that a trip to the library was in order. First thing we did was make a quick stop at the coffee shop for a donut and a mocha for me. It was early enough still that the library wasn’t open, so we enjoyed our snack down by the river. Insanely beautiful day! At the library, I realized I didn’t have my list of book recommendations so I had to wing it. Okay, so maybe I was a little ambitious. Some of these books may move over to my July Reading List. Or maybe I will just start with “Time Management from the Inside Out” by Julie Morgenstern and learn how to manage my time so I can fit these all in. Not likely. Although, I would definitely be way ahead of my reading goal for the year! If anyone has read any of these books, let me know what you thought about them. My son picked out a couple of books to read until I make his summer reading calendar. The picture didn’t turn out very well. He has a couple of the Magic Tree House books and one Lego Star Wars book. And well, my daughter has her usual theme of Princess and Barbie going on. I will be adding a variety of themes/subjects to her summer reading list. Our next visit to the library will include more of my help in picking out her books. My husband and I decided we want to really limit the amount of TV & video game playing time this summer. It goes by too fast to waste in front of the television. I’d much rather see the kids outside playing, swimming in the pool and reading. So my project this week is to complete their reading calendar. (I will post it when I am done with it) They have several friends that are participating in our summer reading program. Should be fun for them, plus I’m promising prizes each month for reaching their reading goals. I’d love some suggestions or recommendations of what summer reading programs/lists/calendars worked for your family. What’s on your June Reading List? We are a book reading family over here. I may even have a little addiction to buying books. My husband is in the process of building a large bookcase with a window seat in our family room. I’m so excited! As much as I love buying books, I find that the Kindle is much easier on my eyes for bedtime reading. They seem to get fatigued much quicker when reading from a book. I just love to see my kids reading a book instead of being in front of a video game or a movie. I have a book reading goal for the year. So, I am always looking for good book suggestions. On facebook, A Bowl Full Of Lemons (http://www.facebook.com/pages/A-Bowl-Full-of-Lemons/180126692003060) recently shared this great site called, What Should I read next? She referred to it as Pandora for books 😉 I thought it was so awesome that I wanted to share it myself. You enter a book you like and the site will analyse their huge database of real readers’ favorite books to provide book recommendations and suggestions for what to read next. Simply type in a book, author or ISBN. Check it out here: http://www.whatshouldireadnext.com/? I’m putting together a reading list and book club for my kids this summer and I think this site will be very useful. I set a goal for the year to read 25 books. Now, I know this may not seem like a lot of reading for some. But, for me, this is in addition to daily Bible reading, other personal Bible Study and the many, many books that are read with my children. So far, I’m ahead of schedule and that makes me happy. I can’t wait to crack them open and start reading away. It’s not too early for me to start thinking about my reading list for June, any suggestions? Please leave me a comment. Thank you!